In the decades since it was first introduced, Howard Gardner's multiple intelligences (MI) theory has transformed how people think about learning the world over. Educators using the theory have achieved remarkable success in helping all students, including those who learn in nontraditional ways, to navigate school (and life outside it) with confidence and success. 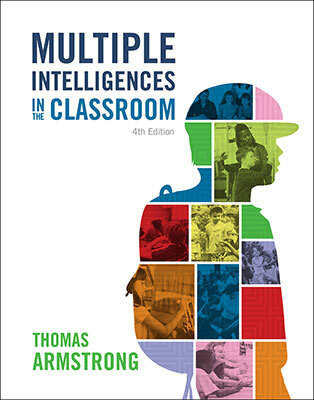 Within the context of classroom instruction, no author besides Gardner has done more to popularize MI theory than Thomas Armstrong, whose best seller Multiple Intelligences in the Classroom has become a bona fide education classic in its own right. This expanded fourth edition provides educators at all levels with everything they need to apply MI theory to curriculum development, lesson planning, assessment, special education, cognitive skills, career development, educational policy, and more. In addition to the many strategies, templates, and examples that have made Armstrong's book so enduringly popular, this edition is updated to examine how emerging neurodiversity research, trends toward greater instructional personalization, and rapidly evolving virtual learning tools have affected the use of MI theory to enhance student achievement. It also includes brand-new lesson plans aligned to nationwide standards and a revised list of resources for further study. Premium, Select, and Institutional Plus members who chose this Featured Selection get the print book. Premium Online and Select Online members get the e-book. Thomas Armstrong is the executive director of the American Institute for Learning and Human Development and the author of six other books published by ASCD, including The Power of the Adolescent Brain: Strategies for Teaching Middle and High School Students (2016), Neurodiversity in the Classroom: Strength-Based Strategies to Help Students with Special Needs Succeed in School and Life (2014), The Best Schools: How Human Development Research Should Inform Educational Practice (2006), The Multiple Intelligences of Reading and Writing (2003), Awakening Genius in the Classroom (1998), and ADD/ADHD Alternatives in the Classroom (1999).